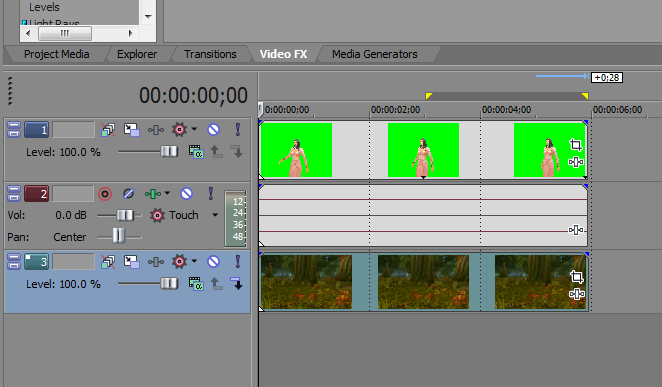 Making WoW machinima is one of the easiest ways to start making machinima. Most WoW machinima makers use three main tools. WoW Model Viewer – A tool for viewing WoW models and animations. Can also be used for chroma keying and exporting assets. 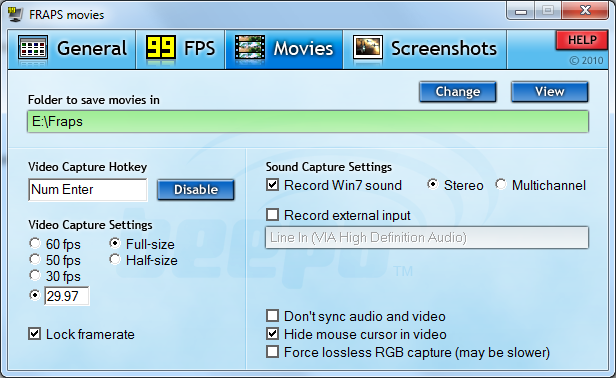 Fraps – Fraps is by far the best solution for capturing game footage. There are other alternatives out there, but Fraps will give you the highest quality. Sony Vegas Pro – An easy to learn and powerful video editor. – Fraps will use a lot of hard drive space, so make sure you have plenty of free space available. – If you have multiple hard drives, recording footage to a separate drive may provide a slight performance increase. – Make sure “Hide mouse cursor in video” is selected under the Movies settings. 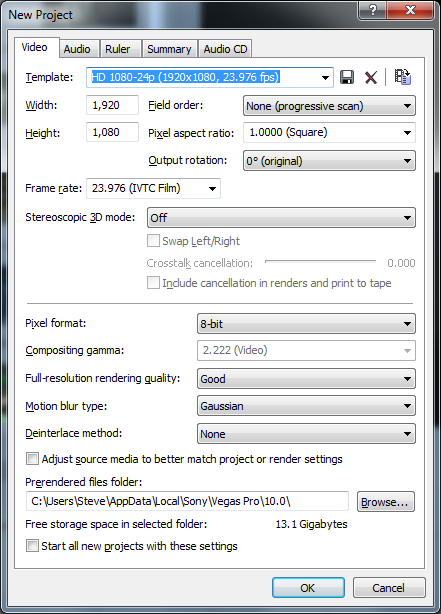 – Your frame rate should match the settings in your video editor. The number of settings in Vegas may seem confusing, but using the presets are a pretty safe bet. – For project settings, I use the 1080 24p preset. – When rendering, I use the WMV 720-24p preset. – Use shift-click to move multiple clips. – To copy effects from one clip to another: Right-click and “Copy” the first clip. Right-click the second clip and select “Paste Event Attributes”. – If you have the extra hard drive space, consider making a copy of your WoW directory. This way a WoW update won’t break your WoW Model Viewer. – Use a solid green or blue background. 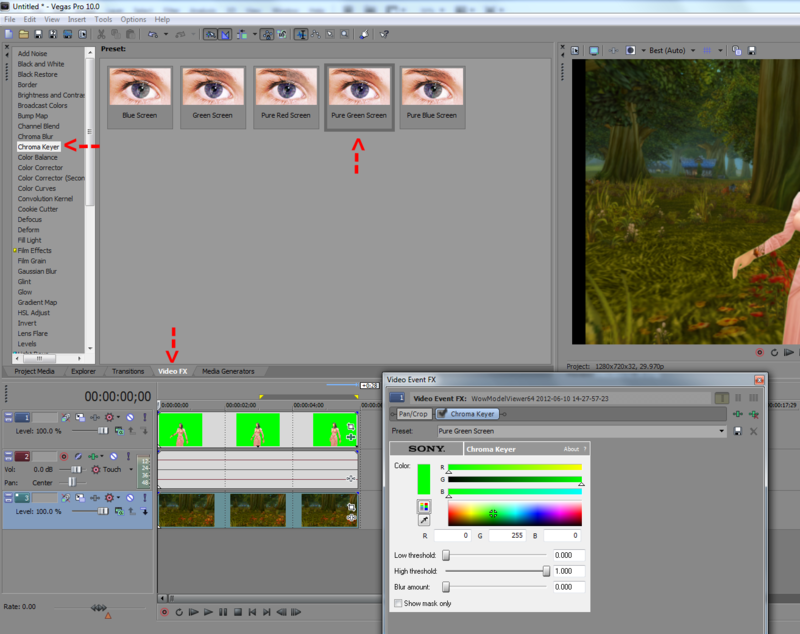 Putting everything together requires the use of something called “chroma keying“. This is the process of using a green or blue background that can be removed by your video editor. 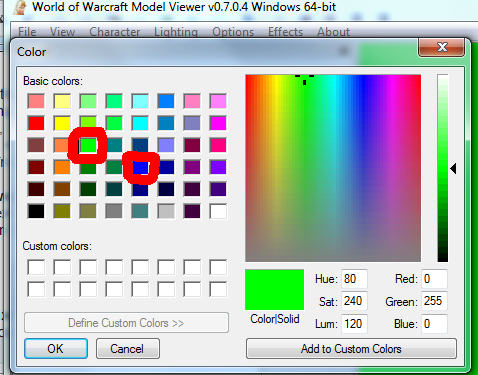 2) Open up WoW Model Viewer and select a solid blue or green background (View > Background Color). The colors you want to use are circled. 3) Select the character you wish to use, then record an animation with Fraps. 4) Drag the clip into the Vegas timeline. 5) Place a background image or video underneath. – Make sure your background shot matches the angle of the character. 6) Select the tab that says “Video FX”. From the menu on the left select “Chroma Keyer”. Drag the “Pure Green Screen” preset onto your character clip. At this point you’re ready to render (File > Render As). This is a very basic example which should hopefully get you started. There are many more effects and settings to improve the quality. The best way to learn is just to experiment with different settings. 1) Sony Vegas is giving me an “Unrecognized frame format” error. – This is a bug related to Fraps footage that contains audio. You can find a workaround for it here. 2) What is causing animation blur? – Animation blur may be related to using different frame rates between Fraps and your video editor. Make sure they are both the same. WoW Model Viewer Forums – A forum dedicated to WoW Model Viewer and WoW machinima production. WoW Insider Moviewatch – A blog dedicated to posting WoW machinimas every weekday. Warcraft Movies – A large database of WoW movies. Machinima Studio – A tool which can browse and export WoW assets.